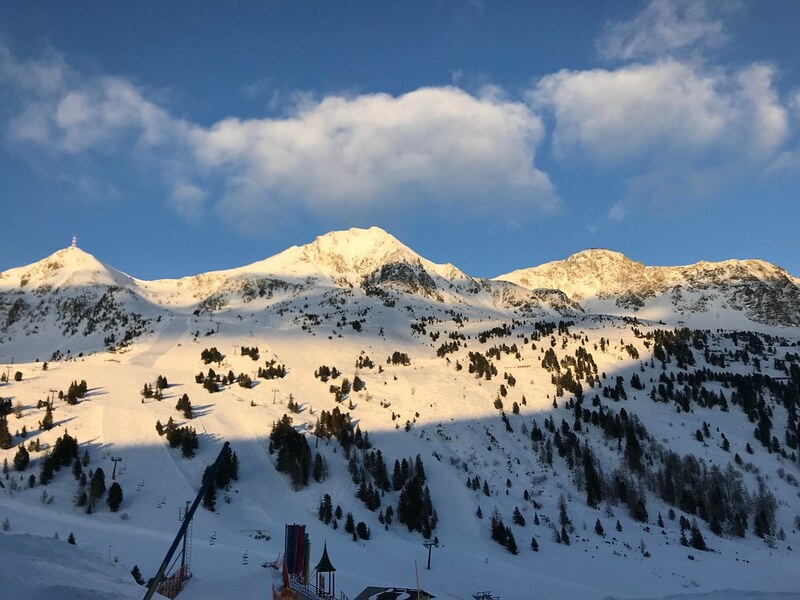 We spent a week skiing in Austria. It was terrific. We went with Mr. Waffle’s brother and sister and their families as well as another family who were friends of Mr. Waffle’s brother. I felt a bit bad taking the children out of school for three days (they had two days off anyway for Patrick’s Day) but I have decided that, on balance, it was worth it. Following the unfortunate incident with the boarding pass in Denmark last summer (let us not speak of it), Mr. Waffle had prepared a folder with 7 tabs. It worked perfectly. But some people might have thought it was overkill. Fools. We left the house at 4.30 in the morning. At 4, Daniel and I had the following conversation. Him: What shoes should I bring to Austria, my school shoes or my runners? Him: Is this a good time to tell you that my runners have a hole? No, it was not a good time. At the airport my sister-in-law and her husband and child were mysteriously absent. 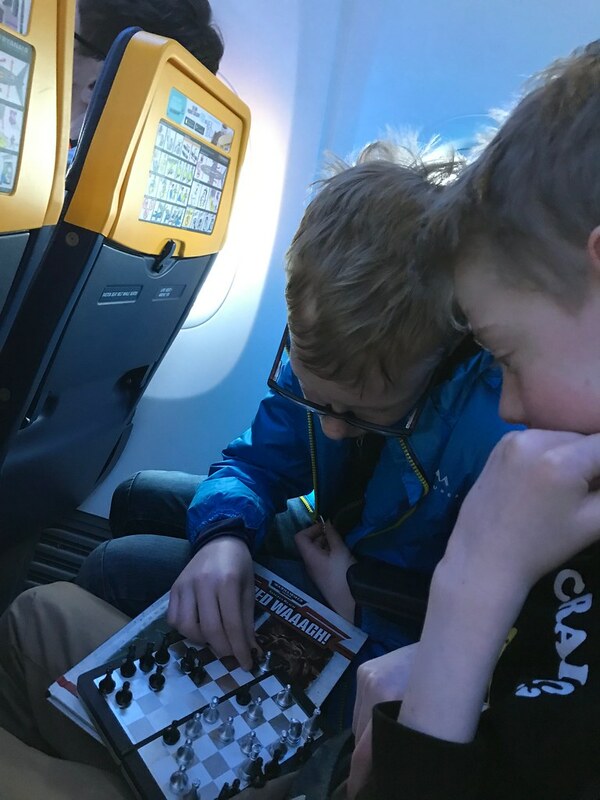 It turned out that they had only got up at 5 and considering that we left the house at 4.30 and live closer to the airport than they do, it wasn’t entirely surprising that they were late. Their travails were not helped by having two planes to Salzburg leave at exactly the same time and then going to the wrong gate but they made it. The flight was uneventful though I noted enviously that my brother-in-law and his kids were fast asleep on the flight while we were definitely tense and awake. There was a certain amount of tension all day. 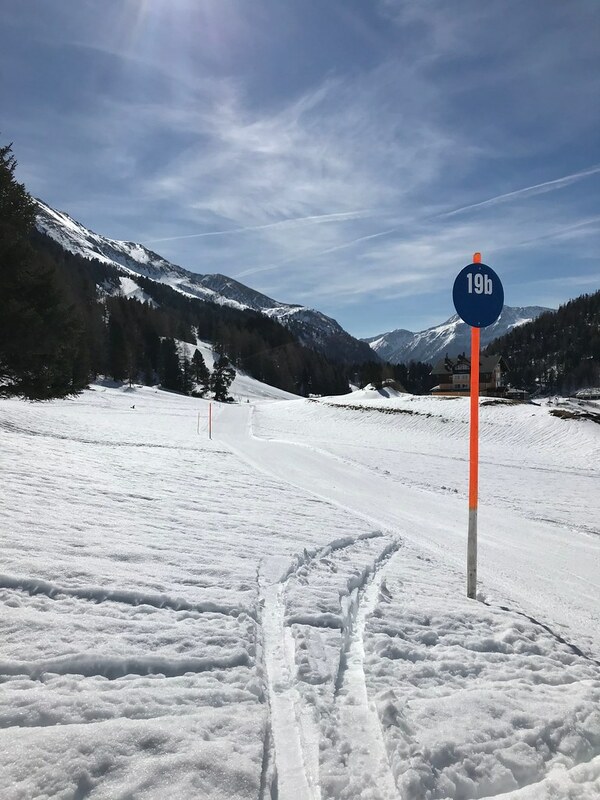 Although there was no difficulty in getting to the resort there was the usual logistical excitement of arranging lessons and ski hire. Also we had hired two apartments which were part of the hotel complex. The boys shared one and Mr Waffle, the princess and I were in the other. Sadly, she did not enjoy having her bed in the living area. “This is the most luxurious place I have ever stayed while skiing,” I told the children. Notwithstanding the bed in the living area, the children agreed that it was the most luxurious place they had ever stayed full stop. We had booked in for half board and I approached dinner on the first night with some trepidation having a low opinion of both Austrian food and hotel food but I was so, so wrong. Dinner was terrific. 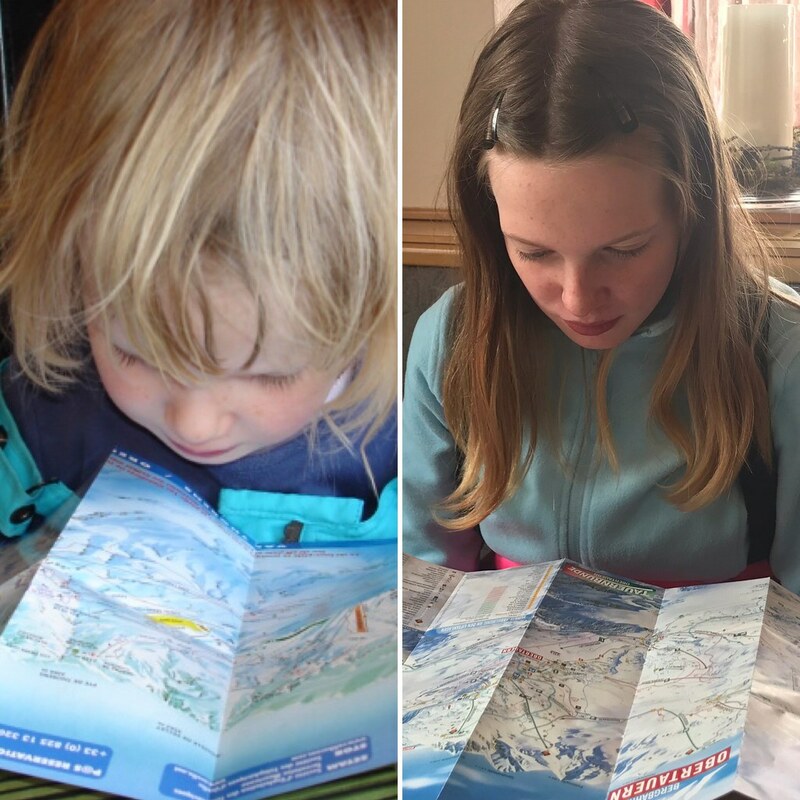 Furthermore the children had their own table and selected their own food from the buffet and then went off to the games room to bond with their cousins (except herself who ditched the children and joined the grown ups – hotel had a great vegetarian menu as well, unexpected). After a long day, things were definitely looking up. It was the most beautiful day. As a ski instructor waiting at the cafe for his class said to me dismissively, “Anyone can ski on a day like today. You need bad weather where you learn to ski with the feet not the eyes.” Ok fine, whatever, notes for the honours students, I’m still skiing with the eyes thanks. 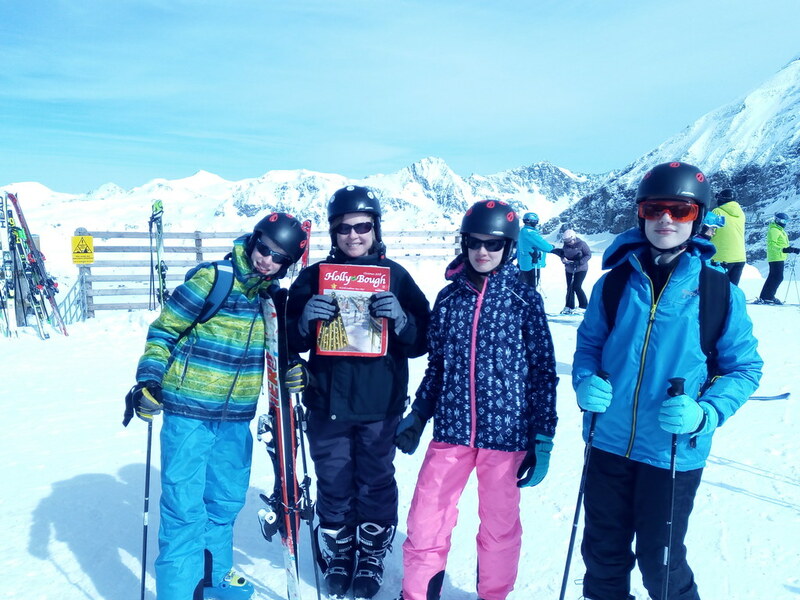 The children went for skiing lessons in the morning. Daniel and herself loved it. Michael did not. Mr. Waffle and I, 11 years out from our last skiing trip in 2008 took ourselves gingerly to the button lift and did a couple of green runs followed by a restorative cup of tea. Afterwards, I fell over slowly and gently on a blue slope and two nice German men stopped and picked me up. Frankly, this compares very favourably to my experiences in France where other skiers tended to swish by the fallen with a “Tsk”. 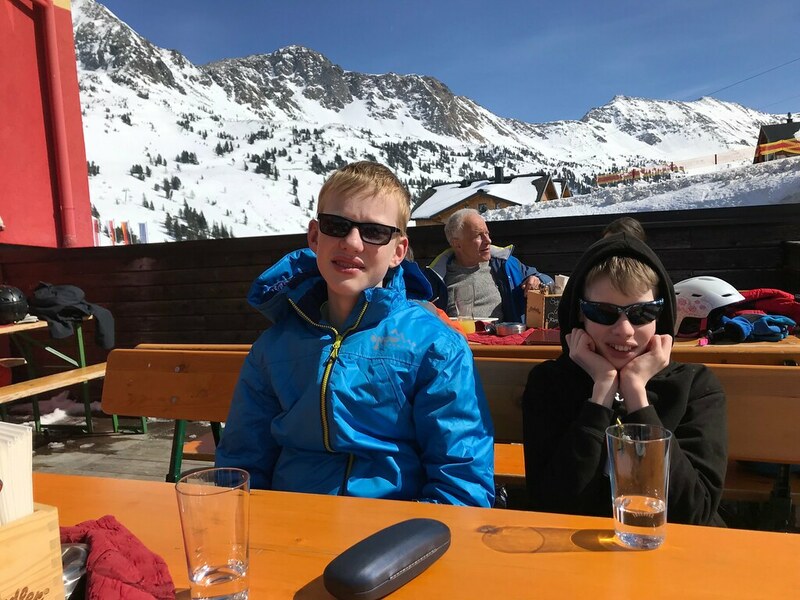 We took the children for lunch and watched in live time as they discovered it was sunny up the mountains (back to the hotel for sunglasses) yet also cold (back to the hotel for jackets). The boys had had enough but herself came to the easy slope with me and her aunt. She was really pretty good and I kept saying it was that week of skiing she had when she was five but she resisted that interpretation. We all took ourselves to the pool later which was pleasant but meant that after dinner we all went straight to bed, exhausted – a pattern which repeated itself all week. Good job that breakfast was good as the weather was quite awful (great, a chance to ski with the feet). When the children came back from skiing lessons, Michael pronounced that he had the worst two hours of his life and Daniel had hurt his knee. Herself continued to love the skiing but found her brothers’ fates haunting her. While our children were suffering, Mr. Waffle and I found the ski lift which would take us safely back to our hotel after a couple of gentle blue runs and went for a cup of tea with my sister-in-law and young S.
A very successful afternoon followed for herself who came out with me and her aunt and tried a more challenging blue run. Then, back to the hotel where Daniel was waiting for me to go to the pool. He asked to be allowed to go on his own next time. I hesitated. He said patiently, “Mum, I can stand with my head above water in every part of the pool. I’m thirteen.” I yielded. As we walked across, I enquired whether his brother had had a shower. Yes. Did he change out of his ski socks? Quizzical eyebrow lift. It turns out he is not his brother’s keeper. Mr. Waffle’s birthday. I gave him two books which I had tried to smuggle secretly to Austria. I don’t think it was really a surprise; packing was largely a shared enterprise. And a magazine subscription because he is hard to buy for and that is an easy present to transport. We didn’t send Daniel to lessons in deference to his sore knee and took him out with us. Our gentle, undemanding pace was just the job for him. We went for a cup of tea and tried, largely unavailingly to ingratiate ourselves with young S who was out in her snowsuit with her mother. I went to meet Michael from ski school with some trepidation. Unnecessary, he was triumphant. Skiing was the most fun ever and he was its greatest exponent. His sister found his exuberant confidence…trying. 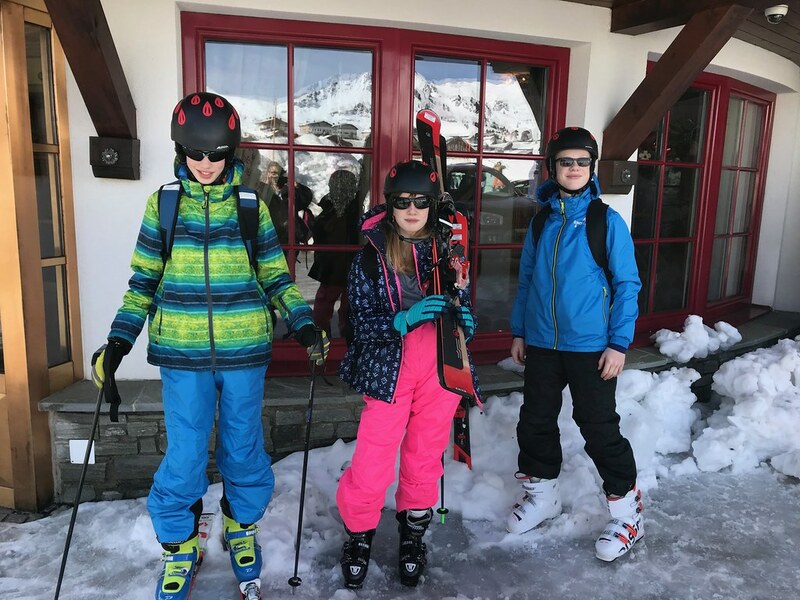 We spent the afternoon with the cousins practicing – it was super because my guys needed the practice and they enjoyed skiing with their cousins – particularly Michael who, now that he had found his ski legs disdained any kind of turning as for the weak and ignored any advice that this technique might not be appropriate for all terrain. He beat me hollow in a race down the hill to his utter delight. His sister asked me was she doing ok and I reassured her. Her father said, “It’s not a competition.” “Everything is a competition,” she and I said in unison. Mr. Waffle said to herself, “Seriously, whose philosophy do you prefer Brother Bear here who says that we are all of us working together or Sister Scorn over there who says that it’s a struggle for survival of the fittest?” Honestly, this is what you get if you marry a hippie. She thought for a bit and said, “Brother Bear probably but Sister Scorn is the voice I hear in my head.” Oh dear, sorry about that, sweetheart. 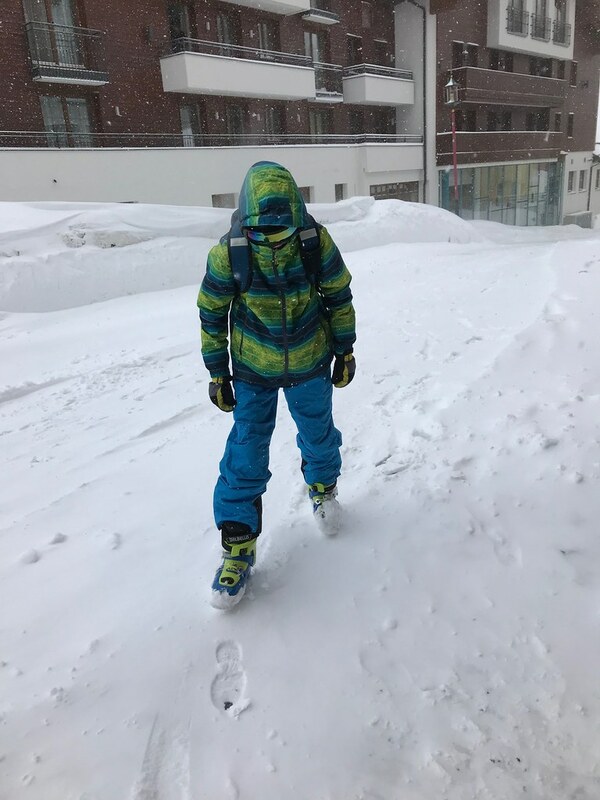 We bore off a cousin and went for a cup of tea and a bun to recover from our race down the hill and then, extravagantly taxied the 500 meters back to the hotel because we couldn’t face walking in our boots with our skis. Don’t judge. When we got back, the girls went off to find their little cousin and Daniel and another cousin went swimming while Michael recovered from his exertions. I gave a waiter a packet of candles I had bought in the Spar and stretching my barely remembered Leaving Cert German to its limits explained that it was Mr. Waffle’s birthday. This was actually quite a nice thing about the resort – everyone spoke German all the time. Most of the tourists seemed to be from Germany or Eastern Europe and German was definitely the lingua franca. It made the children see vividly the point of studying German in school which was gratifying (at least they made up missed German lessons, I suppose). When we arrived in to the dinner, the hotel had outdone themselves in making the table festive with runners and settings and a cake. The only off note was my Spar candles. I suspect they had their own, far superior, candles but thought I had a special dedication to my Spar ones. Alas. Mr. Waffle seemed pleased, however.